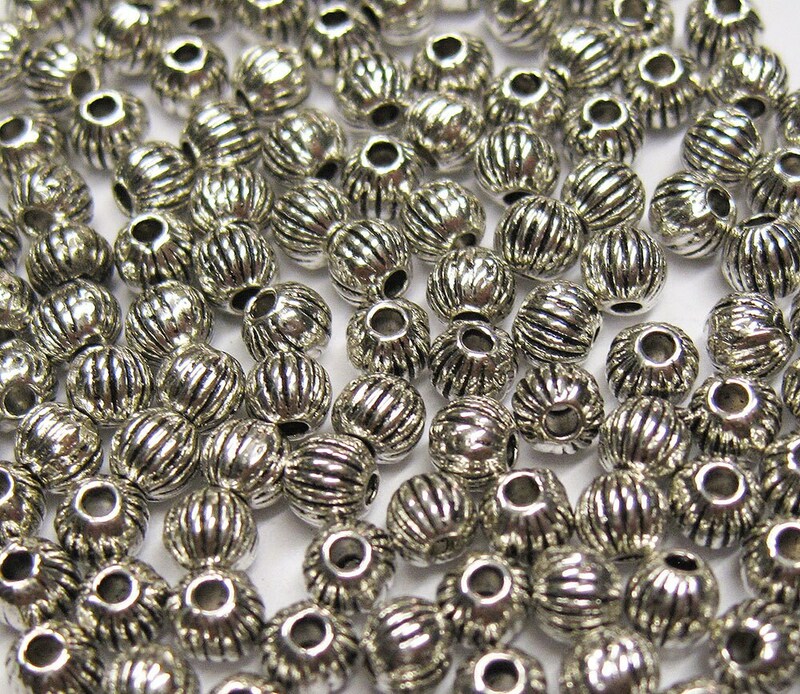 100 corrugated round spacer beads are bright silver and lead and nickel safe and cadmium free zinc alloy. Size is 4mm with a 1mm hole. Beautiful! Excellent quality. Arrived quickly and safe. Thank you.